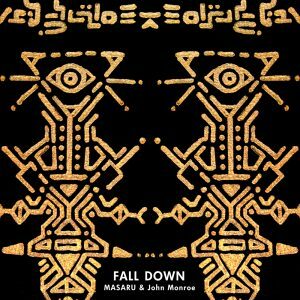 We are happy to welcome back the Japanese talent MASARU & John Monroe with their ”FALL DOWN” EP on TOTEM TRAXX. Hyper Nomad Dj ”MASARU” has endless gigs worldwide, & Okinawa prefecture’s heavyweight talent “John Monroe”, also know as Keystone, is a collaboration unit named “MASARU & John Monroe” comprised in 2015. Trance & House is the background of this duo that is creating a new form of Techno.With Masaru’s rockish basslines and John’s discotec tops fused togeather to create a unique atmosphere.The Duo’s latest work finally will be released from Techno label “TOTEM TRAXX” on July 2018.Masaru & John Monroe return from with 4 exciting remix by OMB,PHAN PERSIE,STEFAN FAUST A.K.A. ZORRO,Metamann and label boss DO SHOCK BOOZE(pronounced as Doushokubutsu). The journey to discover new energy in wonders of the world of sounds which reaches beyond the borders of all living things form will never end! (C)Since 2010 Totem Traxx Records All Rights Reserved.